Should foundations be “all in” on their charitable missions? What would our world be like if charitable law required foundations to invest all of their assets in ways consistent with their charitable missions? 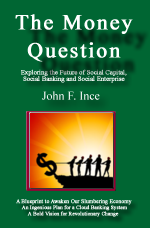 This important question was recently posed by Mark Finser, chairman of RSF Social Finance. Most likely, our world would be a much better place. Charitable foundations exist for one overarching purpose: to benefit the public. To encourage this result, they are highly tax-advantaged. Donations are usually tax-deductible, and assets grow tax-free. In spite of this tax advantage, most foundations are required to grant only 5 percent of their assets for a “public benefit.” What about the other 95 percent? The Foundation Center reports that in 2010, the combined assets of U.S. family, corporate and community foundations approached $650 billion. Today, that number is presumably even larger. There is significant power in these assets. Typically, they are invested in traditional portfolios with the goal of generating the best financial return to help the assets grow. Often, however, those portfolios are not aligned with the mission of the foundation. In fact, they are sometimes in direct opposition. Thus, a foundation with the mission of preserving the environment might be investing in companies that harm the environment. A foundation supporting organic foods and local sustainable agriculture might be investing in agribusiness and fast food. And so on. For decades, many foundations have been engaged in socially responsible investing, where negative screens prevent certain types of investments. For example, SRI could prevent inadvertent investments in tobacco, environmental polluters or weapons by foundations with missions to the contrary. Recently, many foundations have taken this approach a step further, exploring proactive program-related investments and mission-related investments. PRIs and MRIs employ positive investment tools to intentionally advance their missions. PRIs are below-market-rate investments that are made with a targeted program objective and can count against the 5 percent grant-payout requirement. They fall into the grant-making category because their primary objective is to accomplish program goals. MRIs, by comparison, are market-rate investments that support the mission of the foundation by generating a positive social or environmental impact. Although they do not count against the 5 percent grant-payout objective, MRIs produce financial and social returns. These definitions come from Mission Investors Exchange, an excellent resource on mission investing. via Should foundations be “all in” on their charitable missions? – The Denver Post. The day when the contents of your wallet or purse reside in your Smartphone is coming soon and if successful serial entrepreneur Wences Casares has anything to do with it his Lemon.com will be the platform on which it’s built. Casares’s Lemon.com is a Palo Alto-based start-up operation built around an App that allows consumers to collect and store paper receipts so that they can watch how much money they spend and where and how they spend it. Instead of having receipts pile up in your inbox, or letting them become a jumble in your wallet, you can send them to Lemon.com where they’ll be instantly filed and organized. Pretty much anything consumers place in their wallets or purses can now be easily digitized by taking a photo of it using their Smartphone. Images are encrypted, stored in the cloud and automatically organized in an easy to use and access service. No more rummaging around your wallet or purse to fish out your gift cards or last week’s dinner receipt. Not only will the service help you spend smarter, but could be a god-send for anyone who loses their physical wallet or purse as the App will aggregate all of your credit card and payment services in one place. Launched in October 2011 with backing from Howard Schultz’s Maveron VC fund, Lightspeed and Social Capital, Lemon.com now has two million users and is positioned to build a new market opportunity around the organization and management of consumer spending information. Casares sees his Lemon on its way to ten million users and the platform as a stepping stone to a set of new services that can help brands connect with consumers. Only 38 years old, Casares is a successful and experienced entrepreneur and knows how to grow and build businesses. via Will Wences Casares’s Lemon.com Replace Your Wallet? – Forbes. Amazon today launched its virtual currency program, dubbed Amazon Coins. To kick things off, Amazon is providing all Kindle Fire owners with 500 free Amazon Coins, which are worth $5. “You can use the coins to buy apps and games, as well as items inside apps and games,” Amazon said in a note on its homepage. Amazon also said Amazon Coins are available to purchase at a discount, for savings of up to 10 percent depending on how many coins you purchase. Amazon is offering 500 Coins for $4.80, for example. Users can also purchase them in increments of 1,000 ($9.50), 2,500 ($23), 5,000 ($45), or 10,000 ($90). Amazon said the Coins do not expire, and do not include any fees. “From Cut the Rope: Time Travel to Scribblenauts Remix, you’ll find plenty of fun to choose from, and the selection is growing every day. Selection has tripled over the last year, with 25 percent more in the last three months alone,” Amazon said. When buying apps and games, users will be given the option to purchase with a credit card or via Amazon Coins. Amazon first announced plans for Coins in early February. Amazon said at the time that Coins will provide new opportunities for developers, who will earn the standard 70 percent revenue share when customers make purchases using the virtual currency. Developers with apps and games already in the U.S.
via Amazon Launches ‘Coins’ Virtual Currency | News & Opinion | PCMag.com. Amazon today launched its virtual currency program, dubbed Amazon Coins. To kick things off, Amazon is providing all Kindle Fire owners with 500 free Amazon Coins, which are worth $5. “You can use the coins to buy apps and games, as well as items inside apps and games,” Amazon said in a note on its homepage. The move came at a time when other companies were phasing out the use of virtual currency. In October, Microsoft confirmed that it will be phasing out the use of Microsoft Points in Windows 8. In June 2012, meanwhile, Facebook announced plans to ditch its Credits platform in favor of local currencies and allow app developers to offer in-app subscriptions. In January, Amazon announced plans to extend its in-app purchasing service — already available for the Kindle Fire $159.00 at Amazon and other Android devices — to cover Mac, PC, and Web-based gaming platforms.